What could possibly smell worse than the decomposing body of zombie? How about a decomposing zombie that has been burnt to an absolute crisp? 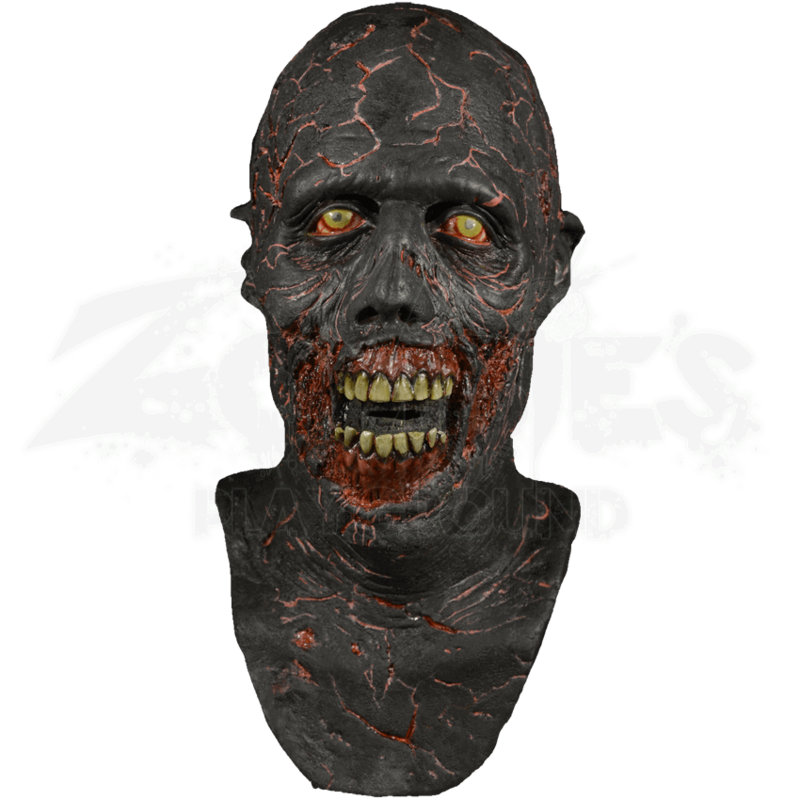 This licensed Walking Dead Charred Walker Mask will surely give you that burnt zombie look. Made from high quality latex, this mask transforms you into one of the terrifying walkers Rick and his group encountered on the hit AMC show. Charred black skin cracks to reveal bloody tissue underneath. This mask features glowing green eyes and the lips are burned away to reveal dangerous teeth. 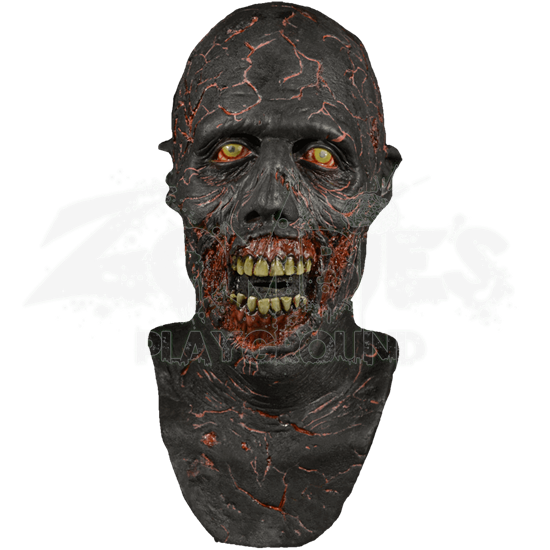 Practice your zombie walk and pull on this mask designed to cover the entire head. Pair it with some burnt and torn clothes and terrify the living!